Update: I’ve written more advice on this topic at Self-Hosting Your Author Website: How and Why to Do It. Recently I was asked why authors should self-host their own blog or website. First, what does self-host mean? So what are the big reasons NOT to use a free service? Sometimes you are working on proprietary systems that could be abandoned at any time. They might not be supported in the way you need them to be. Free services might not offer the kind of metrics and analytics you need to see what’s working. You can read more of my opinion at Roz Morris’s blog. To learn how to self-host your site in 10 minutes or less, here’s my free tutorial showing how to set up your site at Bluehost. Disclosure: I am a Bluehost affiliate marketing partner. This means that if you end up clicking one of my links to Bluehost and sign up for a hosting package, I receive a commission. However, I recommend Bluehost because I’ve used them and think they offer good value, along with a 30-day, money-back guarantee. I find I’m just so intimidated by the sounds of this! Any tips on where to begin? I don’t dispute that you find the process a headache! Yet I don’t think you clearly understand my point either. It’s impossible to use plug-ins with WordPress.com. Their analytics are basic and surface. If and when your career progresses to the point that these things matter, you’ll definitely know. I’m sorry, Maureen. That didn’t really come out right. Obviously you’re established/advanced in your career. It becomes a choice of what’s most important to you. I assume your writing & research time is paramount. I require independence in my site ownership and am willing to give up some time/attention to have it. I’m not interested in letting a third-party play any role in the future functionality or direction of my site. On a side note, anyone who started a serious site using Apple’s iWeb is now in bad shape, since they’ve discontinued supporting it. There’s always a chance with proprietary systems like Blogger (run by Google) that they will decide to walk away from it, or sell it! Deborah, in this context, using BlueHost would mean you ARE self-hosted. I’m so glad to see these discussions. I am not self-hosted at the moment, and I’ve started to feel frustrated by the limitations. I’ve read both the pro and con blog posts, and I’ve also been listening to some recorded sessions from Blog World, and I think that (for me) self-hosting is the way to go. Yes, I think every author knows it’s time when, on a weekly or monthly basis, you find yourself saying, “I wish I could …” and you realize it’s not possible unless you self-host. I am self-hosted and love the control it gives me. My blog has some functionality that wouldn’t otherwise be available. My site (http://liveyourwhy.net) and my store (http://terryhadaway.com) are self-hosted blogs and work wonderfully. Thank you, Jane for posting this. Lot’s of people are asking me about this and it’s great to have this post to send them. I say wordpress.com is good to start with if you have nothing. If you learn to use that dashboard it makes it easier to use the self hosted dashboard. I set my clients up on Bluehost. Thanks so much for your contribution to my piece, Jane – and it’s great to see the discussion widened here. I think the biggest takeaway is that there are ways to do this in stages, and that wasn’t possible before. So we can start blogging at a manageable level and upgrade without too much disruption as and when we feel it’s necessary. In the past it seemed to be either/or. Thanks for the post and advice it is indeed helpful. I’ll add that bloggers unable to self host now for financial reasons should have a backup for their published posts so, if for any reason they are shutdown they can always recover and republish. Dipika Kohli makes a great point that I actually forgot about– when you put your work on a free platform, they are going to use your site to make money, so you could end up with advertising that you don’t approve of and that is not within your control. Again, treat your writing like a business– WordPress.com and Blogger certainly are! Hi this is a great thread. We work with custom WordPress websites all the time. Love WordPress. Also over lately personally become intrigued with squarespace. It’s easy, good looking, and you pay for the service plus 24/7 support. Curious your thoughts on this platform? It seems kind of a hybrid of your recommendation. I know writers who use SquareSpace, but I’m not familiar enough with how it works to recommend it. That is a really huge drawback of changing URLs/domains. 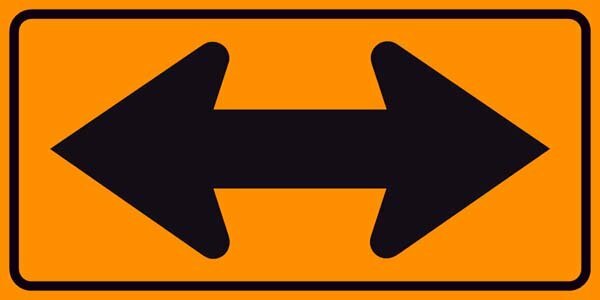 Sometimes it’s possible to offer redirects, but that’s tough, if not impossible, when using a service like Blogger. The situation usually does improve over time. If you haven’t done so already, consider optimizing your content by claiming authorship over it via Google Authorship. Hi Jane, Guess I’m a slow learner, but I’m still trying to figure out what self-hosting is. I’m using Fatcow (considering changing) with free WordPress.com install. My understanding when starting was that you need to use a host company to set up a domain name, etc. The WordPress situation is often confusing to people because it is both a technology for building websites AND it also offers free hosting. So you can have a WordPress site that you self-host (like at Fatcow), or you can have a WordPress site that WordPress hosts (at WordPress.com). thank you for the information.i am looking some information about website hosting service? Thank you so much for this post!! The video was great. Just what I was looking for! Such a great walkthrough, and explanation. I’m excited to get started. Hello Jane, I am getting started with Whiz, for businesses. I am just beginning a career with internet marketing and I am reading the material, which is a lot. I came across Self Hoster which I didn’t have much of a definition for. So, I started looking around and wound up seeing your post with a simple, but very clear definition. Thank you. Jane what are the real ways of getting good ROI on the self hosted website? For most authors, a website is simply the cost of doing business (it’s part of your marketing budget). But if you were trying to earn money through the site, it’s most commonly done through affiliate marketing (such as Amazon affiliate links) and advertising (such as Google Adwords). Can you place ads to self-hosted blog from services like Adsense, Revenuehits, Propeller ads media, popads, Chitika, Adversal, Infolink, etc ?? I was very dissapointed when I found out that wordpress.com really restrict placing ads. I want to get earning from blogging. So I hope you can tell me, because that might change me to self-hosted my blog via bluehost. Yes, a self-hosted site can place or host ads from anywhere. Hello, do you have to pay for the wordpress premium or business package to get your own domain on top of the self hosting fee from bluehost? No, you wouldn’t purchase any upgrades from WordPress.com if you plan to use Bluehost (or another hosting service). Thank you Jane. Your detailed explanations aforementioned cleared a lot of confusion I once had.